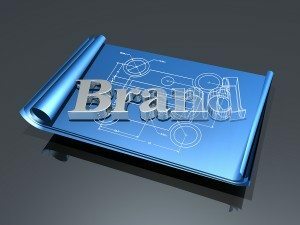 This article focuses on the single most important asset that your business has, your brand and the promise it makes. It is the defining part of your business that helps you create and maintain relationships! As an owner of your Direct Selling business, you know that your brand is your greatest strategic asset! However, here is where most of us fall short…they think their brand is the corporate brand. The corporate brand and their support are a must for your business, but prospects will make their decisions based on a relationship with YOU first and foremost. Before they take action on your recommendations, they need to have trust and credibility established with you! Would you ever expect anyone to spend time with you or take your advice if they don’t trust you? You are the gatekeeper to everything you offer through your business. YOU ARE THE BRAND! Brands are literally the rudder for every action and decision you make as a business owner when it comes to attracting, engaging, and converting targeted leads. YOUR BRAND SHOULD NEVER TRY TO BE EVERYTHING TO EVERYBODY! Your success in never-ending lead generation starts with being able to identify the target market niche where you can best create and maintain relationships. This absolutely means that you select a niche where you have established credibility because you are at the heart of that niche yourself. So what are you waiting for? You are an expert within your selected niche, and your niche deserves to benefit from your help! If you think you have no expertise for a niche market, think again. You have a lifetime of personal experiences, problems overcome, interests, passions, life-stages, etc. that qualify you as an expert to people just like you. We have yet to work with any member of the University that didn’t have a niche that they could use to build their brand and business around. When you create a brand that addresses the needs of your niche, then finding them online is much simpler, crafting content and irresistible offers is much easier, creating deeper relationships is more natural and converting a higher percentage into clients will happen on a much more frequent basis. Start building up your brand among your targeted niche now! Also, when it comes to niches, don’t worry about limiting yourself. Online, virtually any target market niche represents a significant volume opportunity. Your brand serves as a promise to your niche market that YOU are the one that they can rely on to fulfill their needs with regularity and credibility! We want people to find your Direct Selling business and say, “Oh, you really get it!” However, they won’t feel that way without a well-articulated brand crafted just for them. Brands must directly meet the unique needs of a specific target market niche! The more defined your niche is, the easier it will be to tailor your marketing strategy and the value you create within that niche. This is lead generation and higher conversions at its best. If you have too broad a niche, you’ll be much less effective in meeting your target’s needs because you’ll be trying to be everything to everybody! If you want to work more efficiently, waste less time, be more relevant and create more meaningful relationships than you ever thought possible, you need a brand that is focused on a specific niche. Some people incorrectly believe that the only way to have success is to always go head first with a “sell, sell, sell” mentality. In the age of social media, times have changed! Your brand is a major avenue to initiate relationships with people in which you are simply there to help! With the focus on your niche, your help will be that much more meaningful, refreshing and fruitful for both your business and your niche market. Some people wonder why their social media marketing strategies aren’t working, and it often boils down to the right starting point, your brand. I am so glad I started this training! Even at this early stage ,I truly am having one of those AHA! moments.Cant wait to get deeper into the training.This truly is going to be a huge step towards growing my business. That is so great to hear Kevin. Let us know how we can help! I’m feeling more confident in my network marketing business and like I really do have all the right tools to make it actually work. I’m also very excited about my niche market! It really is going to make posting and communicating with my niche a lot more fun for me! I am a newbie in network marketing. I was getting really frustrated, because I was targeting the wrong people. I am 100% more confident in network marketing. I am very excited about my niche market! Thank you for all the wonderful info.